Why Choose Bagasse (Pith) As A Pellet Material? Bagasse (pith) is the sugarcane fiber waste left in the sugarcane processing mills after the extraction process. Historically, there is already a developed secondary market for the sugarcane mills, the paper making industry. But there are also 30% myelocyte in the sugarcane bagasse waste, which we call it bagasse pith. The bagasse pith does not maintain the fiber morphology, which makes it easy to be crushed and causes really bad influences through the paper pulping process. Therefore, the paper plant is not a fan of bagasse materials with pith in it. They will remove the bagasse pith before paper pulping process, and also offer a extremely low price for the bagasse materials with pith. Obviously, the complete wood pellet equipment is applied in the wood pellet plant to produced wood pellet. 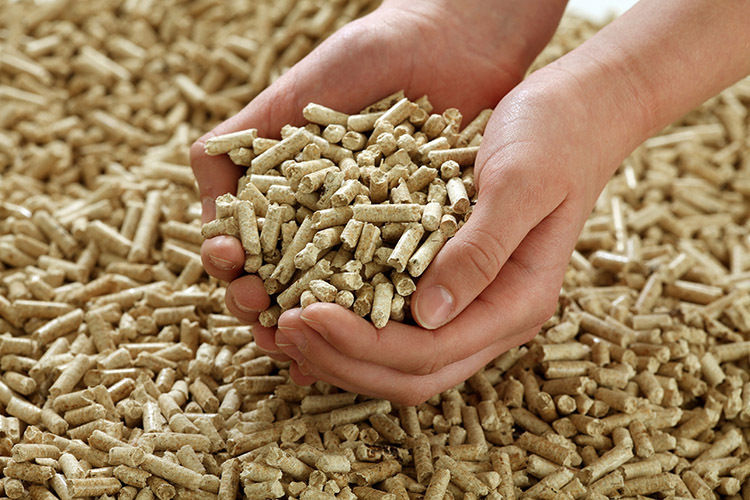 Wood pellet, the final product of the complete wood pellet equipment, is a kind of renewable fuel which is used as a substitute for the fossil fuel. The complete wood pellet equipment normally consist of several equipment holds the different functions, such as the hammer mill, pellet mill, cooler and so on. There is no doubt that the ring die pellet mill is the most important equipment in the biomass pellet plants. It is the step in the pellet plant which pelletized the processed raw materials into actual pellets. Therefore, the mechanical failures of the ring die pellet mill is definitely impact the production capacity of the pellet plants. As a professional pellet plant solution provider, Gemco is not only going to show you the reasons and solutions of the mechanical failures of the pellet mill in the pellet plants, but also the maintenance of the ring die pellet mill. Hope it could help you rule out the pellet mill false in your pellet plants. During the wood pellet manufacturing process of a pellet plant, hammer mill is one of the most important equipment in the complete wood pellet line. On one hand, the performance of the hammer mill is strongly impact the wood pellet quality, on the other hand, it also request a higher operating cost than most of the other equipment in a wood pellet plant. Therefore, as the main equipment of a pellet plant, when the hammer mill is in a mechanical failure, it will probably cause the unqualified product problem, or delay the routine working flow of a pellet plant. 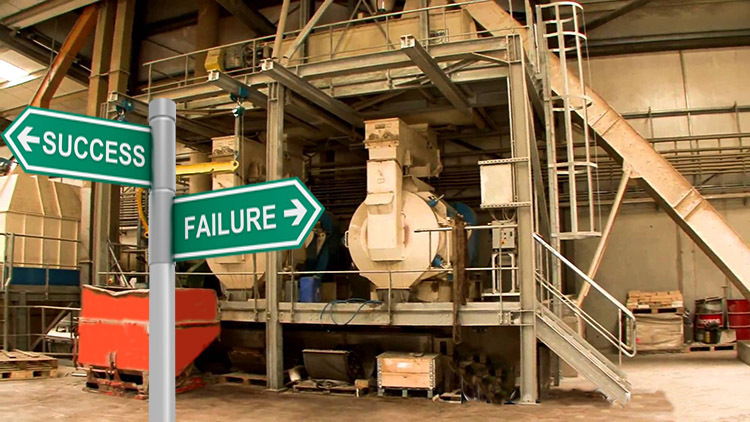 In the following article, Gemco has summarized the reason and solution of the hammer mill mechanical failure in wood pellet plant. 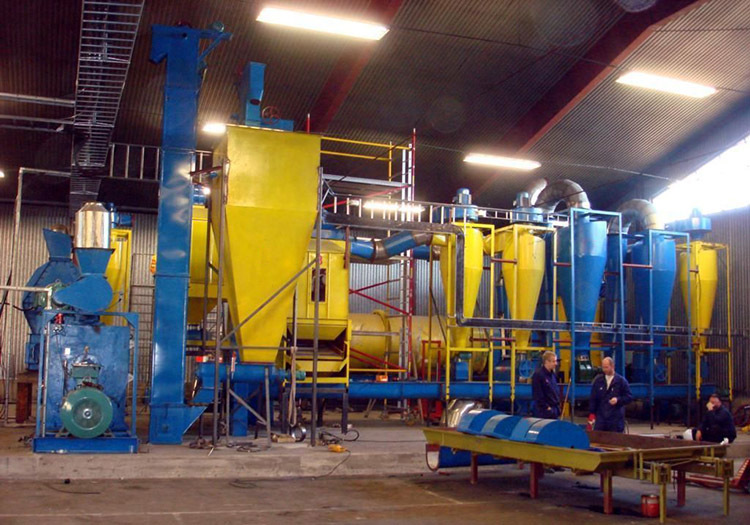 Running a wood pellet plant successfully needs a lot of efforts, such as the exact equipment that can suit your demands of wood pellet perfectly, the skilled workers, the reasonable management, and the ability of finding the mechanical false of the wood pellet plant and providing the solution of the wood pellet plant false. 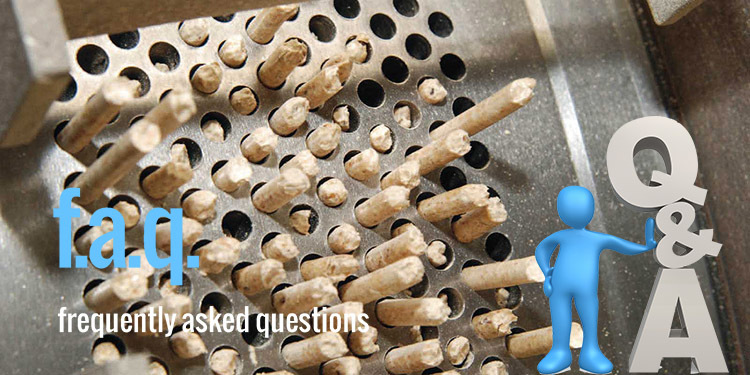 In the wood pellet plant faq part 1, I have included several questions regarding to wood pellet plant set up, let continue with more questions. Q 06: Is there any differences between the biomass pellet mill and the feed pellet mill? 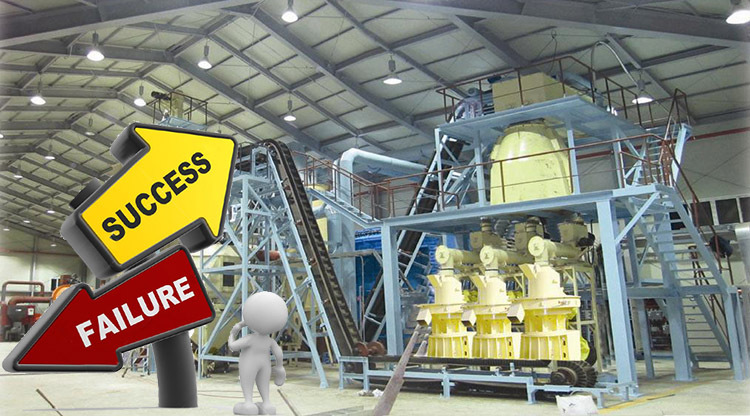 A 06: For a pellet plant investor, to choose the right pellet mill for the pellet plant is very important. And there may be some feed pellet plant owners hope to explore a biomass pellet business with their feed pellet mills. The working principles of the biomass pellet mill and the feed pellet mill are the same. But the characteristics of the feed pellet and biomass pellet are different, especially the moisture contents of the feed pellet and the biomass pellet. Therefore, the feed pellet mill can not be used directly to produced biomass pellet. However, if you looked for the history of pellet mill, you can find out that the pellet production technology is first utilized in feed production industry, and the manufacture technology of the first biomass pellet mill is adopted from the feed pellet mill, but with a different technological parameters and device layout. During the consulting services that Gemco provides for the biomass pellet plants around the world, there are a lot of confusions which is proposed by the pellet plant owners. In summary, Gemco finds out there are a batch of questions that has been asked over and over again. In order to provide the most effective service for the pellet plants whole world round, Gemco summarized the basic confusions the customers have, hopes it would help the investors who have a interest in biomass pellet manufacture industry. There are a lot of claims which is proposed by the biomass pellet plants, one of the interesting claims is about the interrelation between the abrasion of biomass pellet and particle density of biomass pellet. In 2006, an investigation has been carried out on the second World Conference on Pellets, which compared the abrasion and particle density of biomass pellets produced of the same raw materials, different fineness and with different compression channel lengths. The result shows that there are no obvious relations between abrasion and particle density of biomass pellets. Biomass, is organic matter which comes from living and recently living organisms. 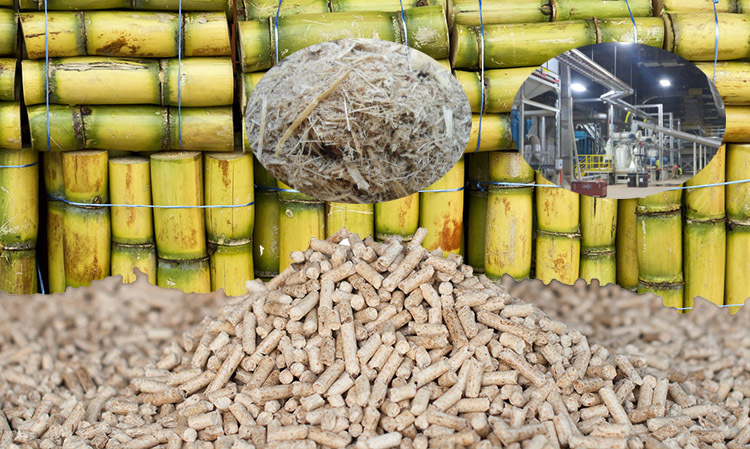 Therefore, the carbon, hydrogen and oxygen and other volatiles content are the main components of the biomass raw materials for pellet production. Although these elements does not influence the applicability of the biomass materials for pelletisation, it does have an influence on the gross calorific value and the net calorific value. The volatiles effect the combustion behaviour of the biomass pellets, as carbon and Hydrogen are the main elements which is responsible for the energy content during the combustion. For the record, the woody biomass contains higher carbon and hydrogen and volatiles concentrations than the herbaceous biomass. The volatiles in woody biomass is about 70 wt.% - 86 wt.%(d.b. ), and the volatiles in herbaceous biomass is about 70 wt.% - 84 wt.%(d.b.). This high volatile content causes the fast vaporisation of the biomass materials which has a strong impact on the thermal degradation of the biomass pellets. For the production of wood pellet plants, the physical characteristics of the pellets greatly effects the wood pellet quality. 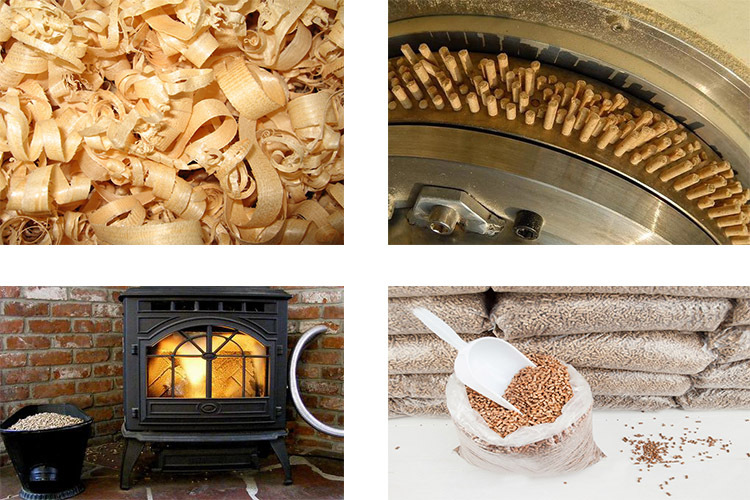 Therefore, in order to control the quality of the wood pellets, the first thing to do is to determine the applicability of biological raw materials, and the evaluation criteria for the raw materials.